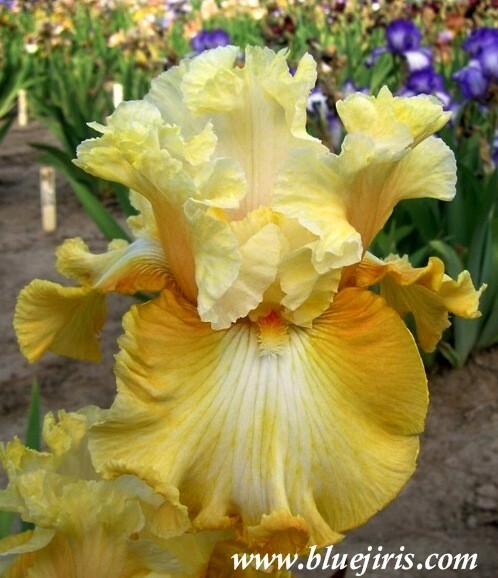 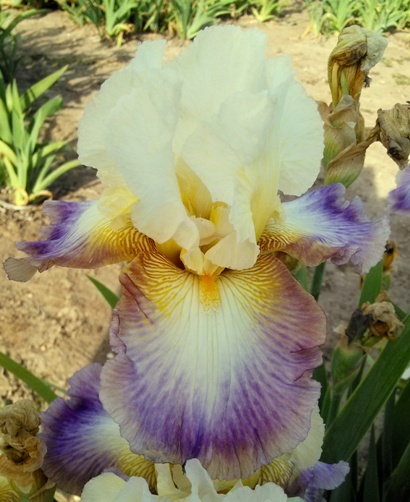 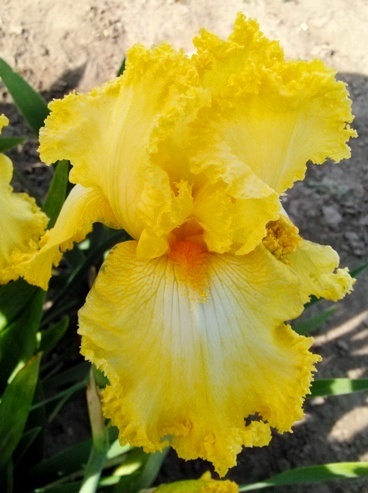 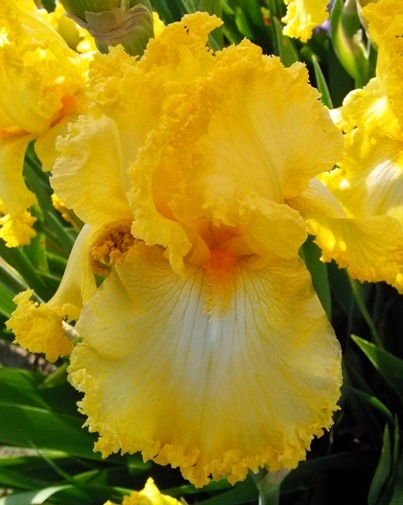 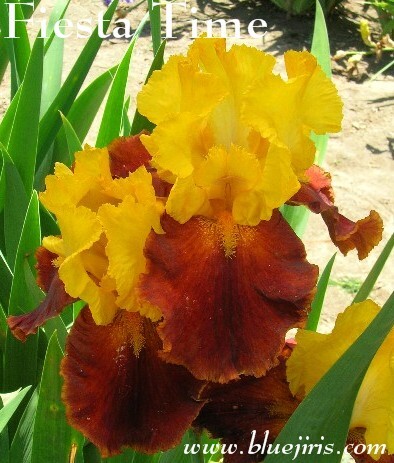 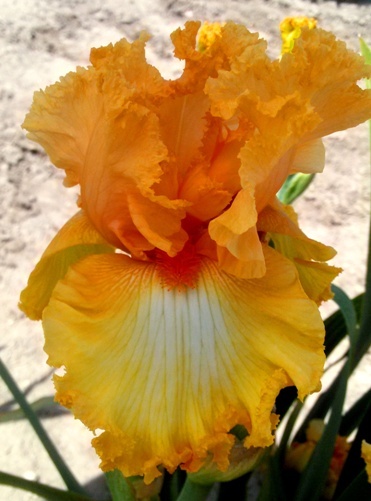 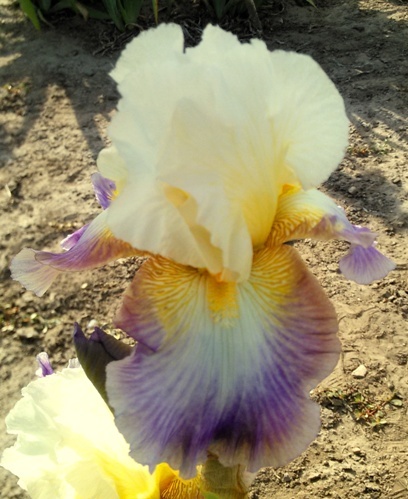 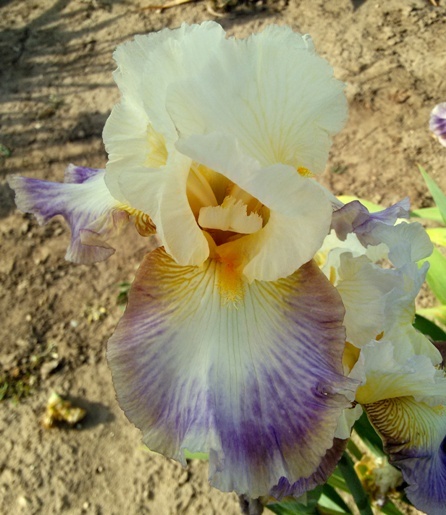 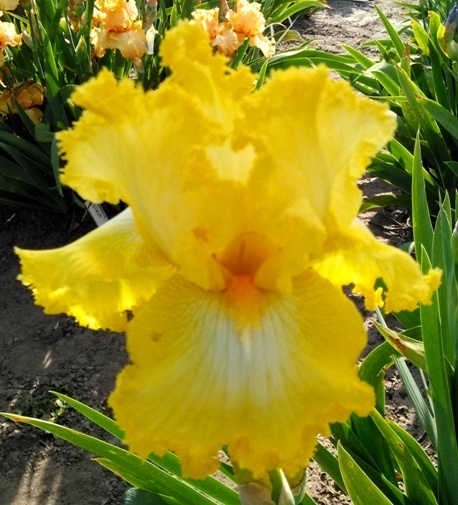 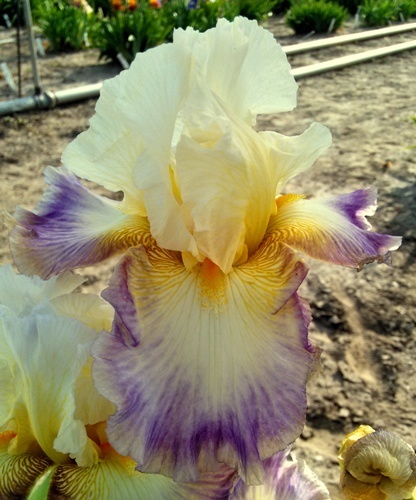 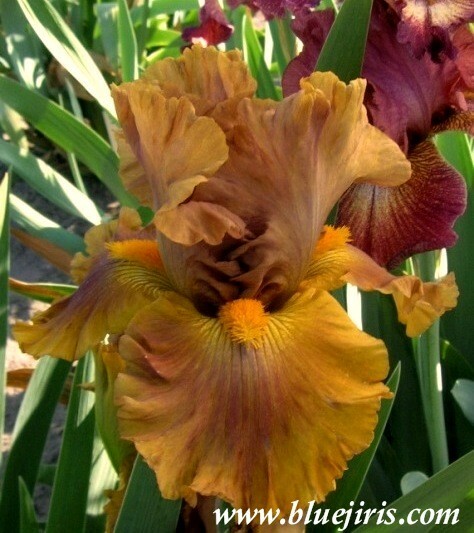 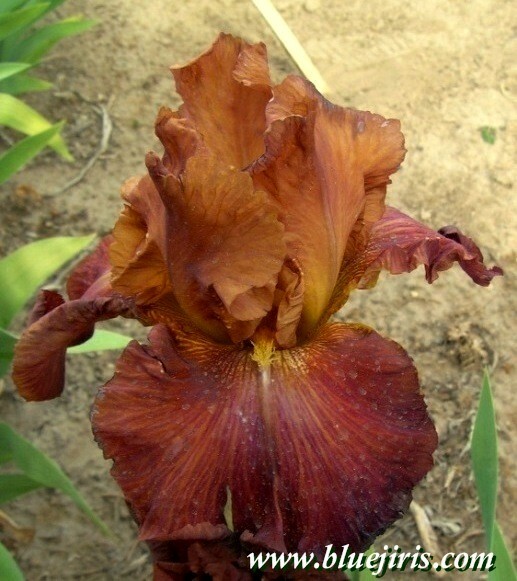 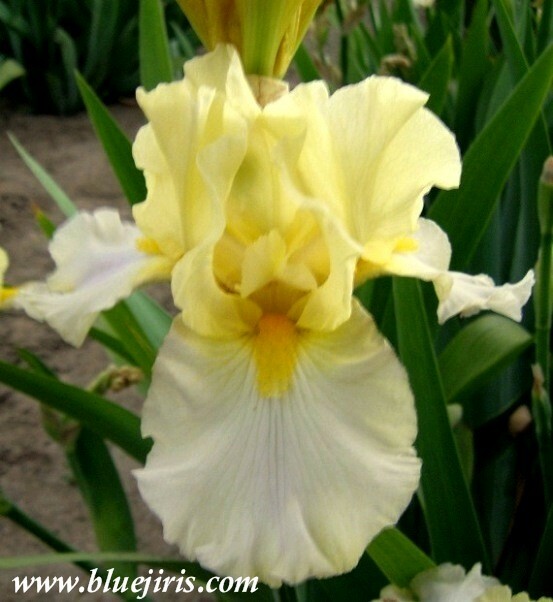 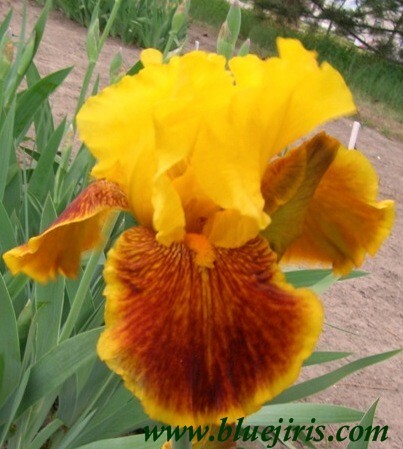 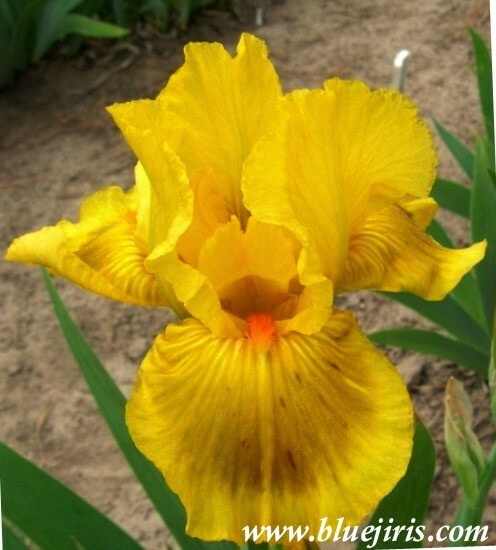 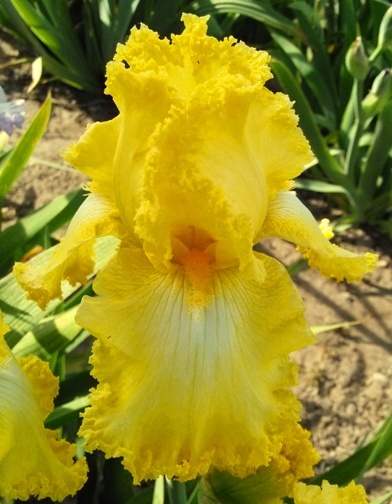 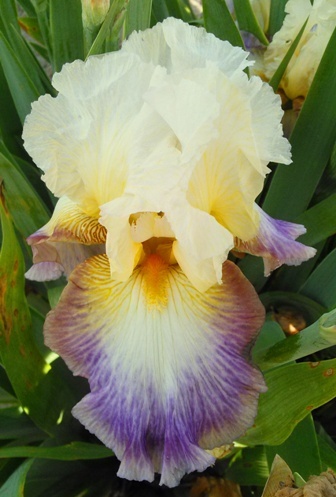 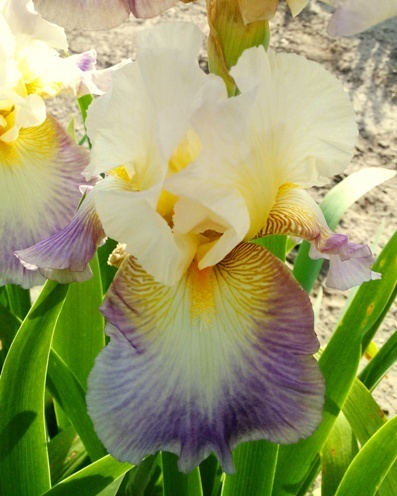 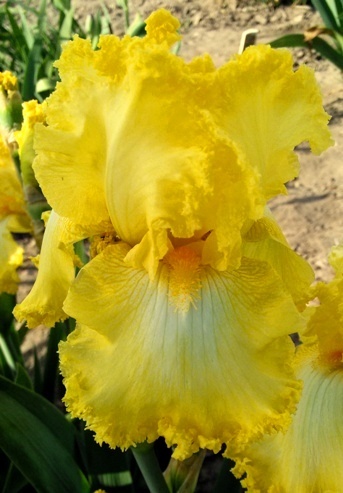 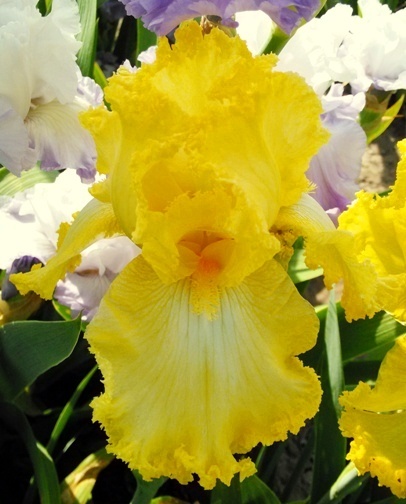 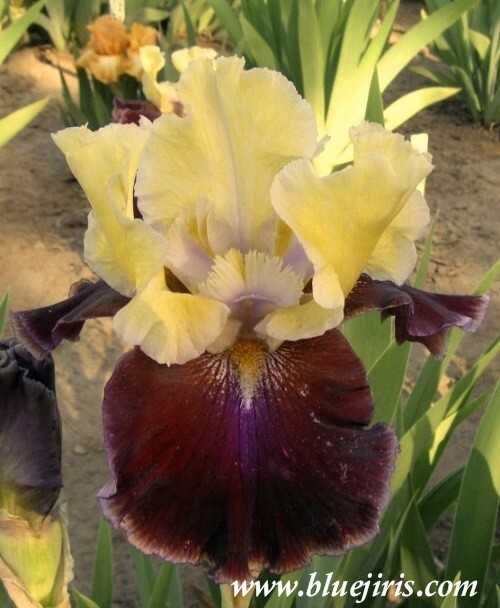 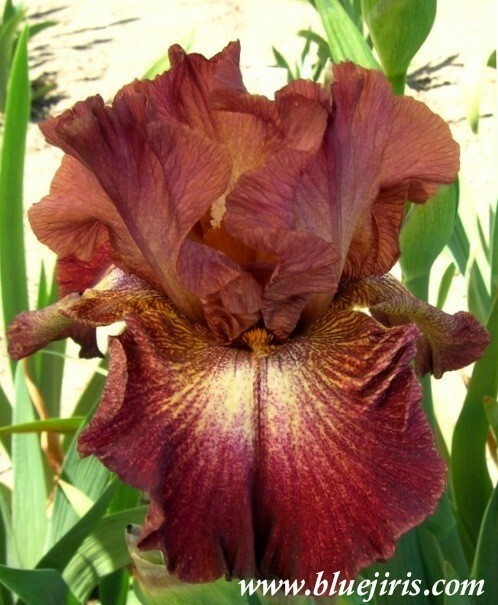 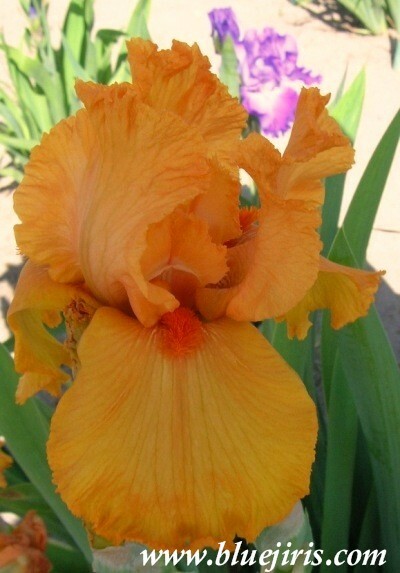 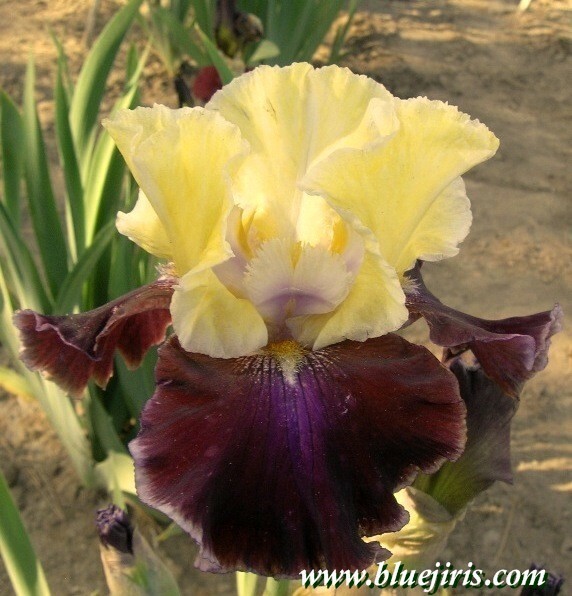 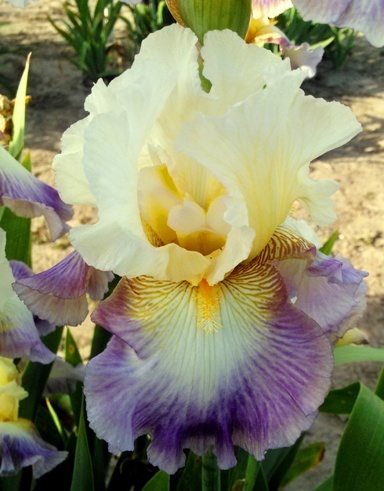 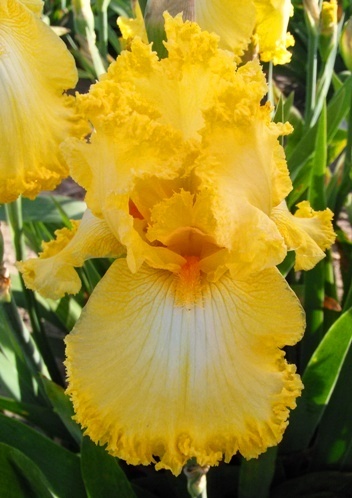 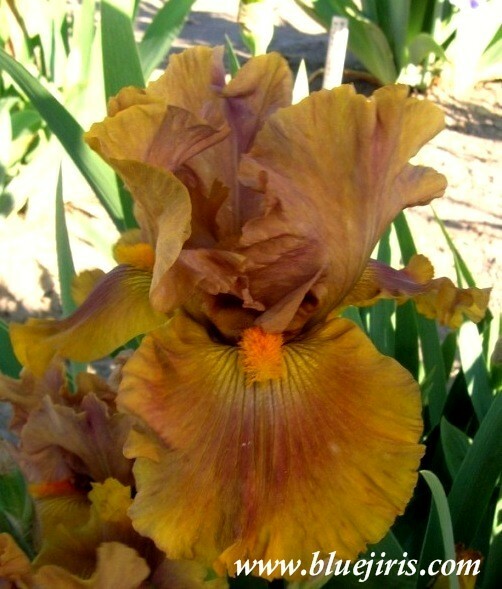 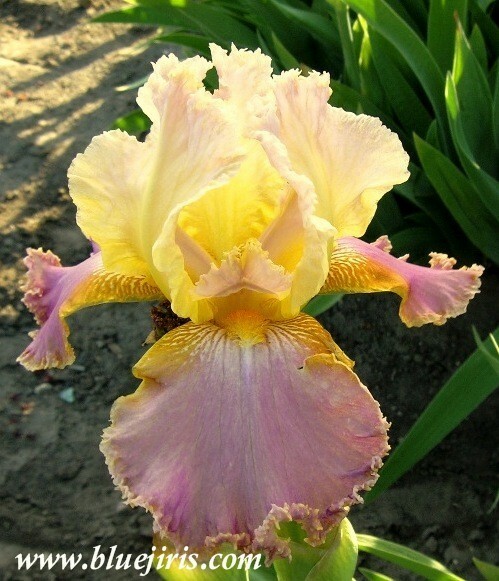 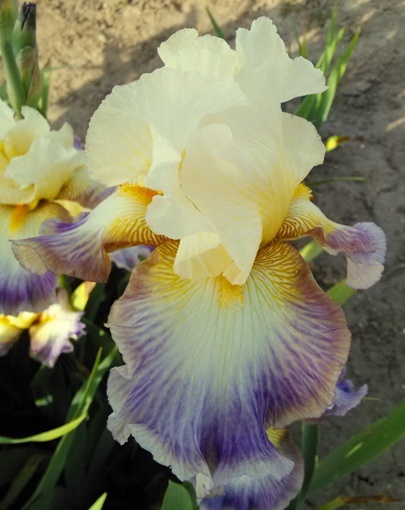 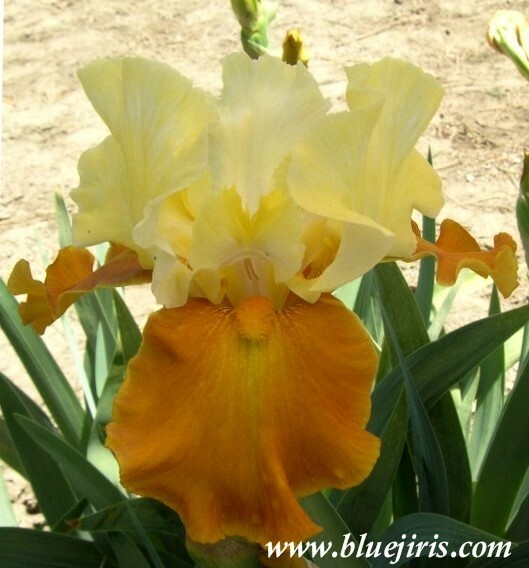 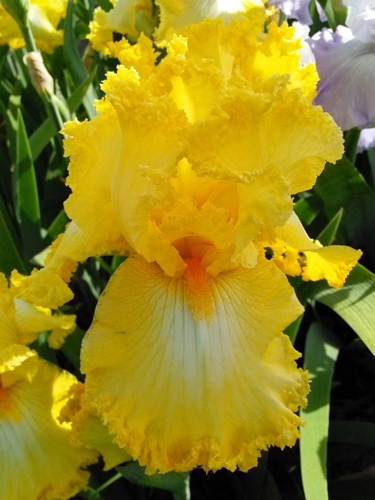 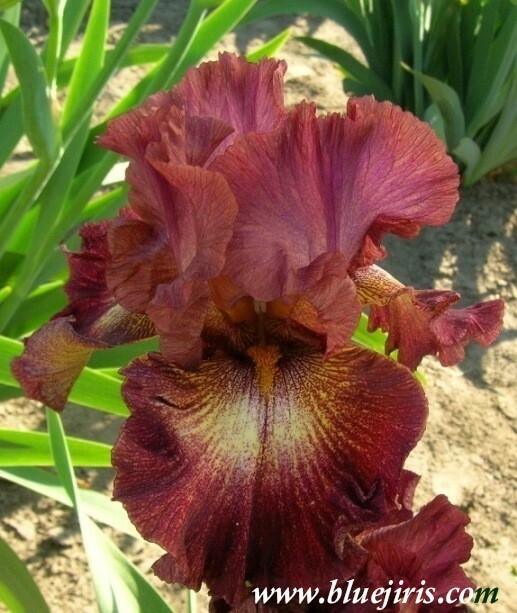 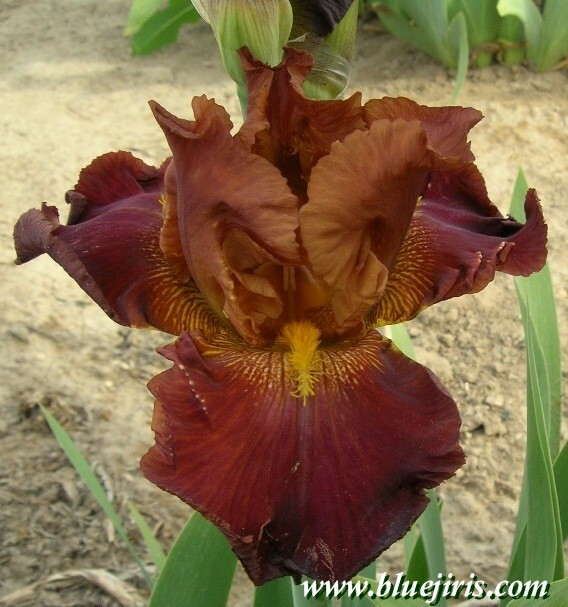 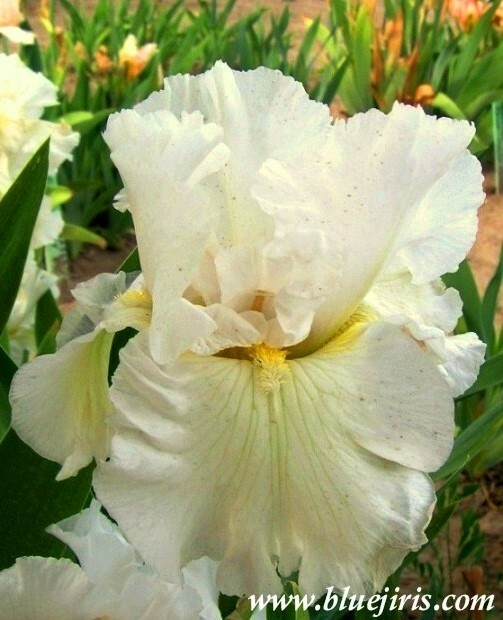 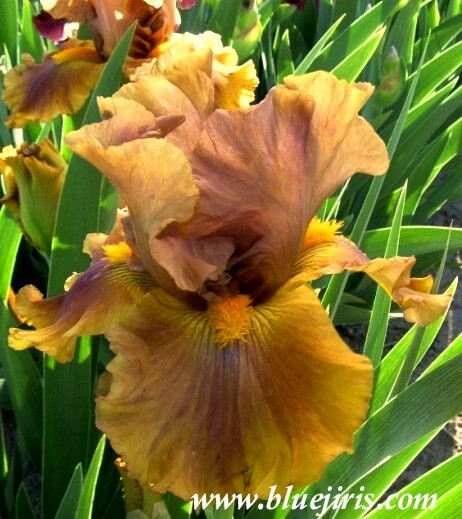 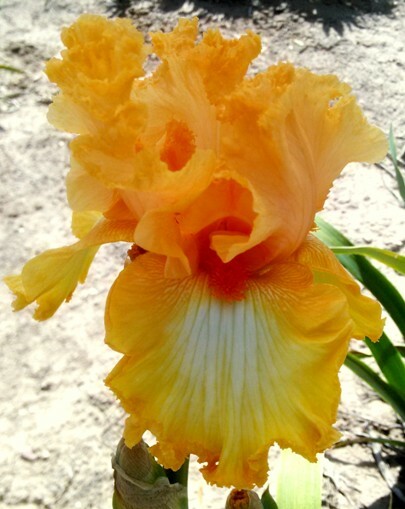 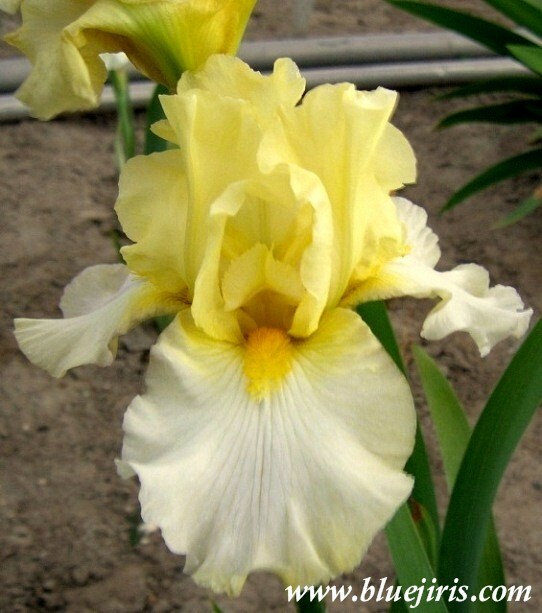 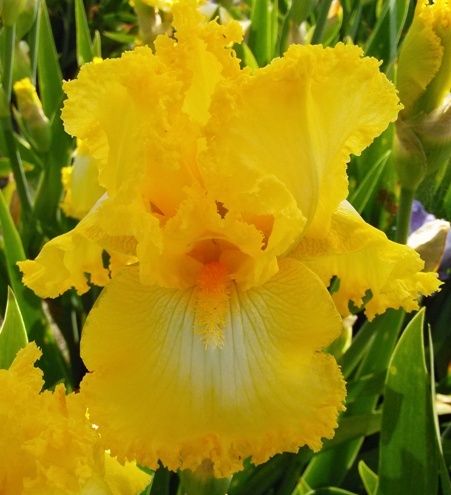 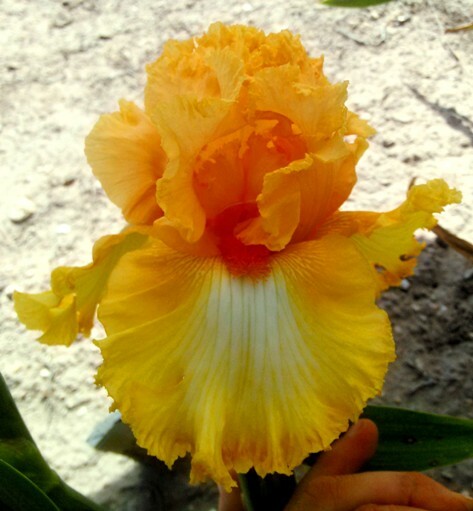 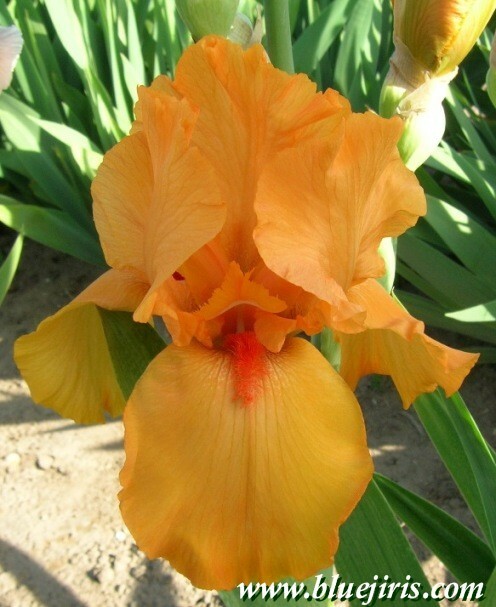 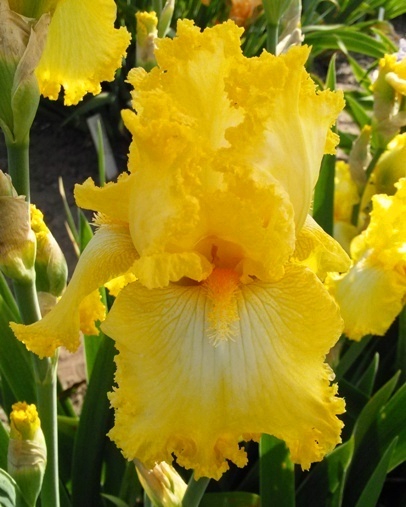 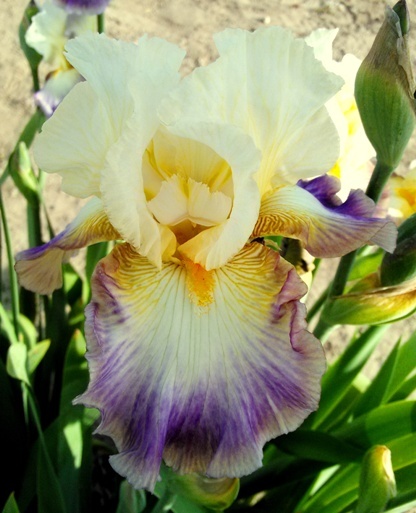 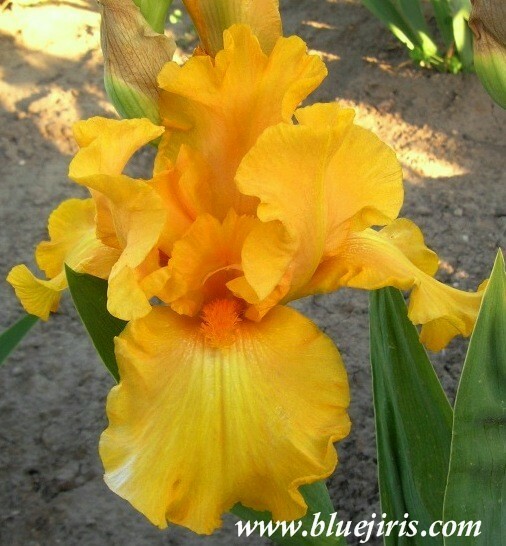 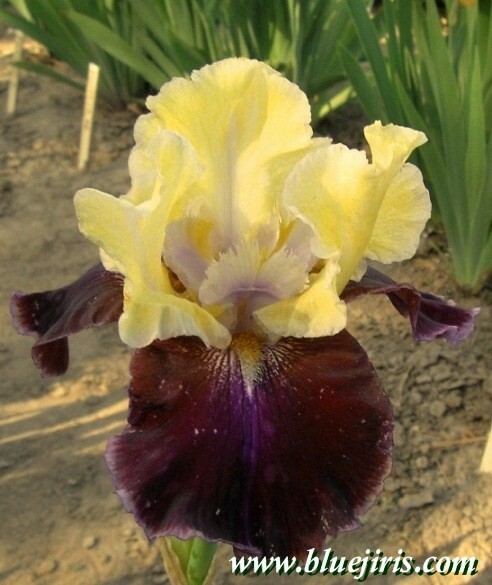 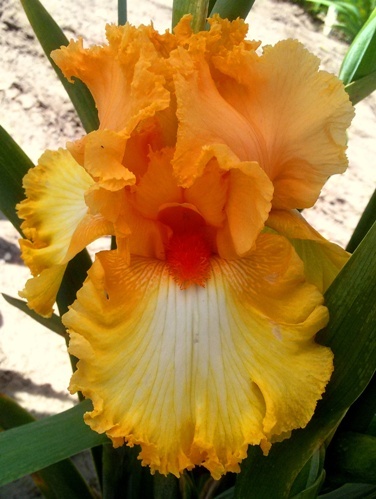 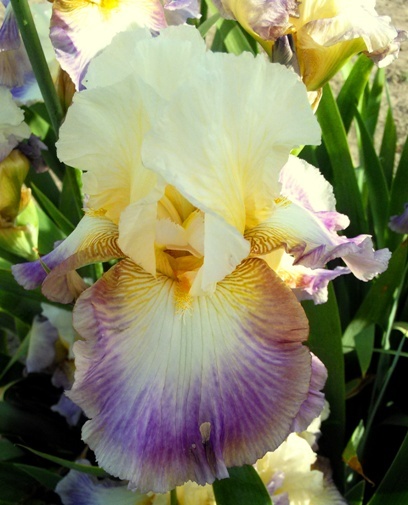 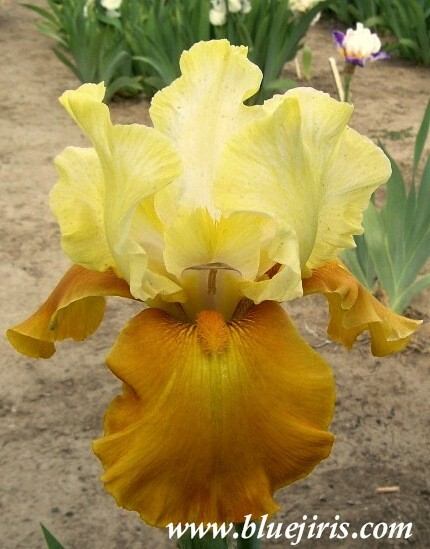 S. yellow orchid, laced; F. darker orchid with yellow haft, heavily laced; yellow beard. 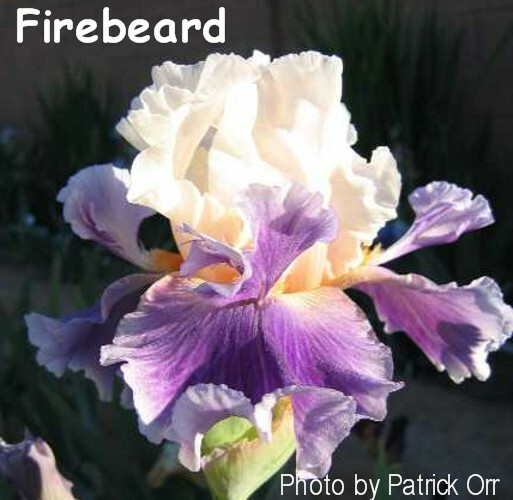 S-warm to mauve pink; SArm-orchid and pink; F-fuchsia violet, faint mauve pink spray by beards; B-orange, slight musky frag. 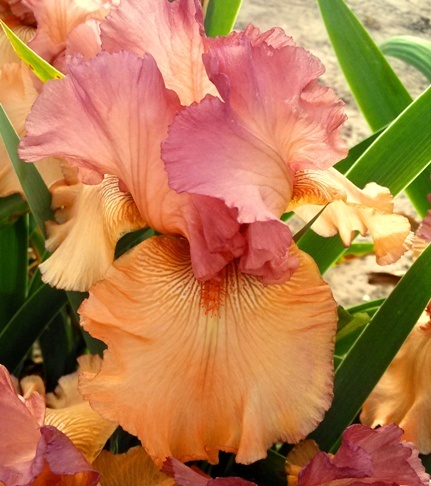 S-orchid pink; F-magenta orchid; B-dk coral, base magenta; ltly laced; sl.sw.frag. 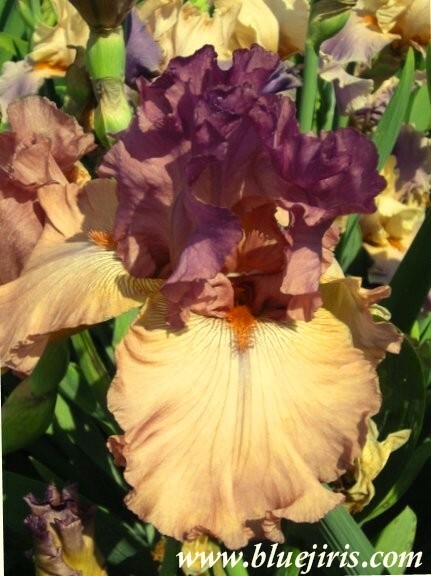 S. white ground, erratic yel.splotches, pur& magenta streaks; StArm-yel.streaked purp; F. white grnd, streaked magenta & pur.viol, gold wire edge; B-gold, flounces & horns, also streaks. 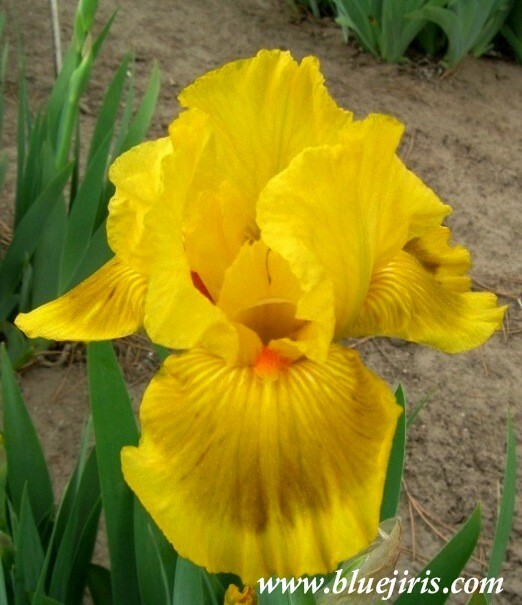 ; 3-5 F. and S., usually 4; slt sweet frag. 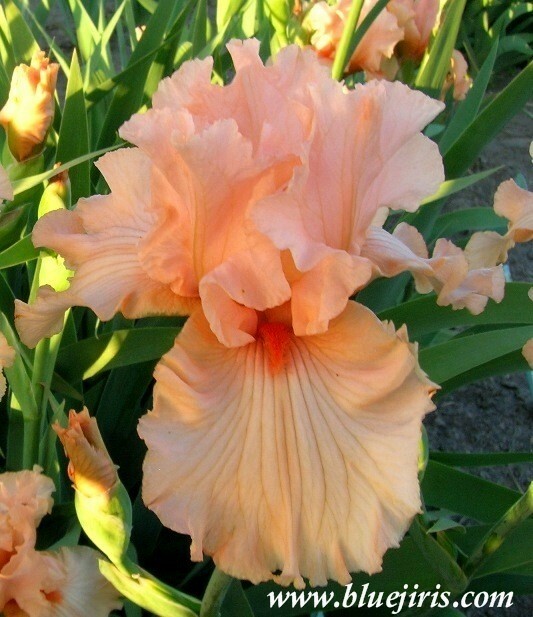 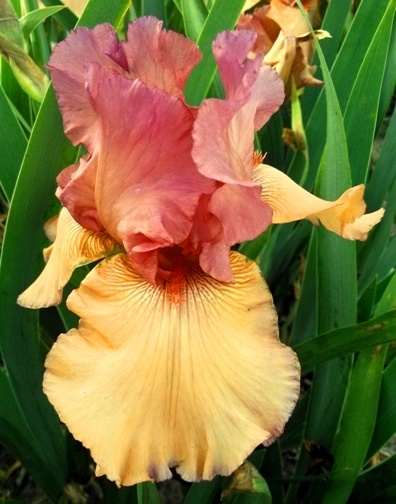 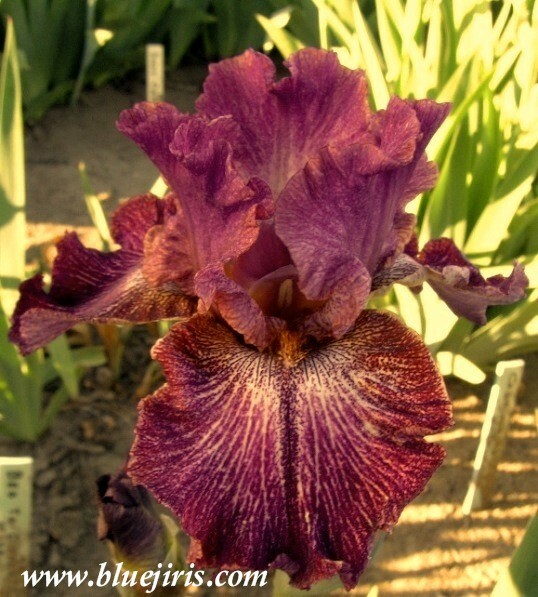 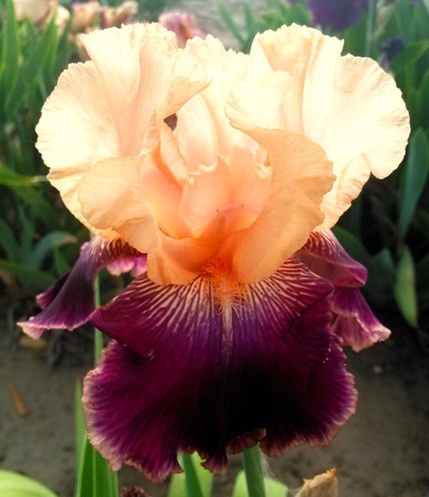 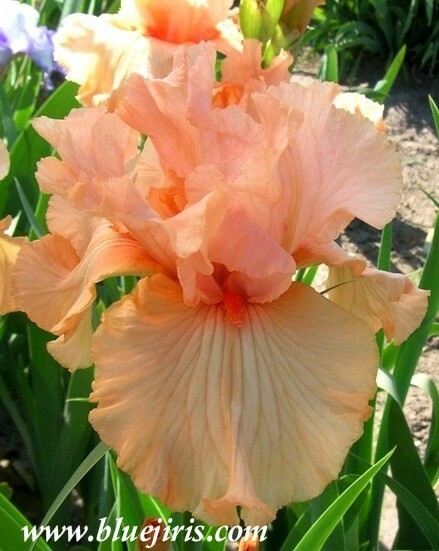 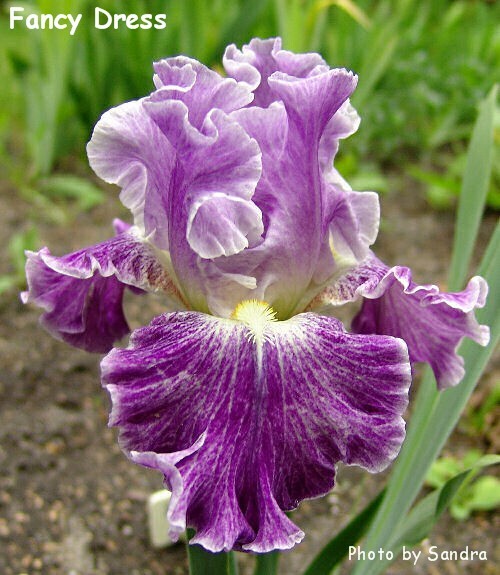 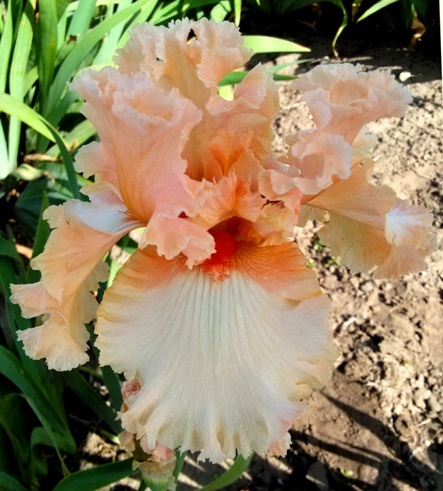 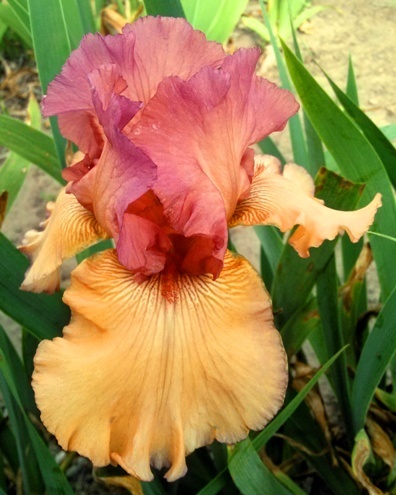 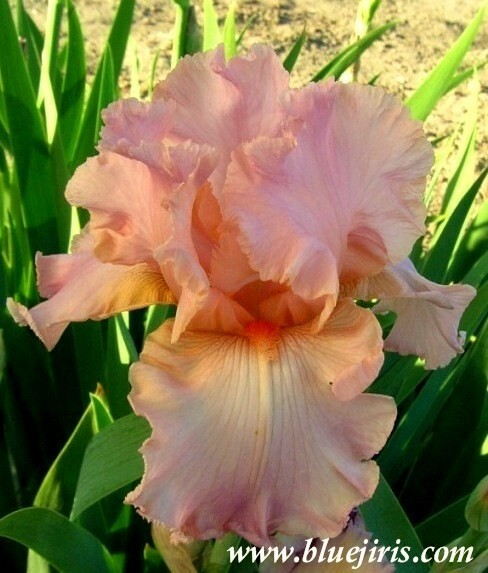 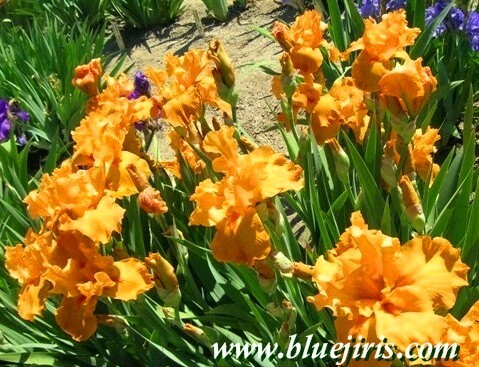 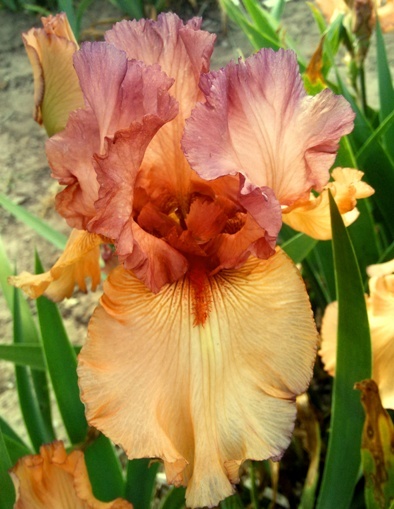 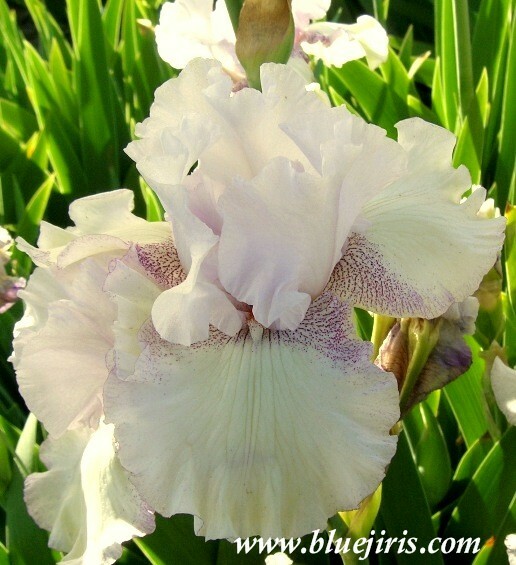 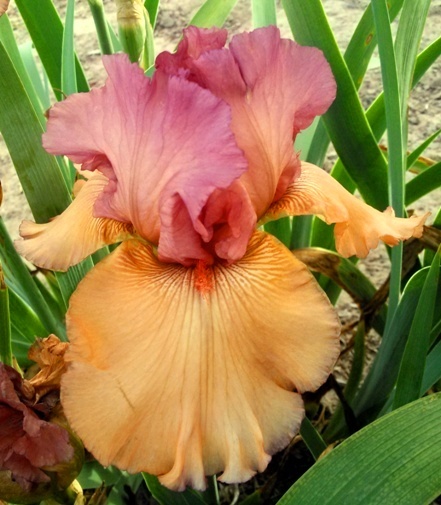 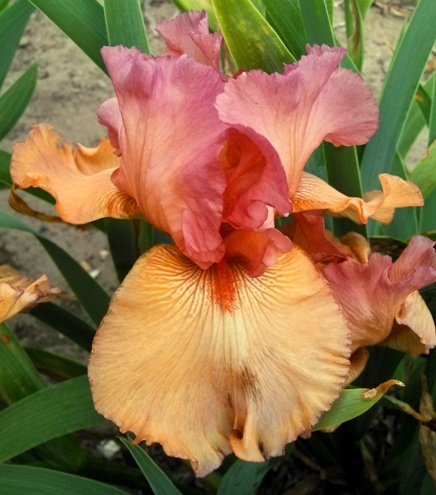 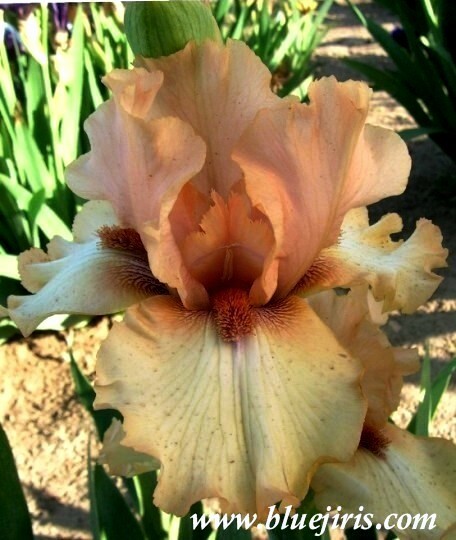 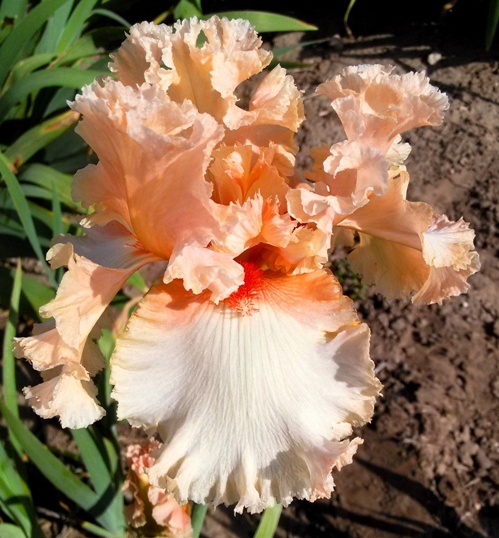 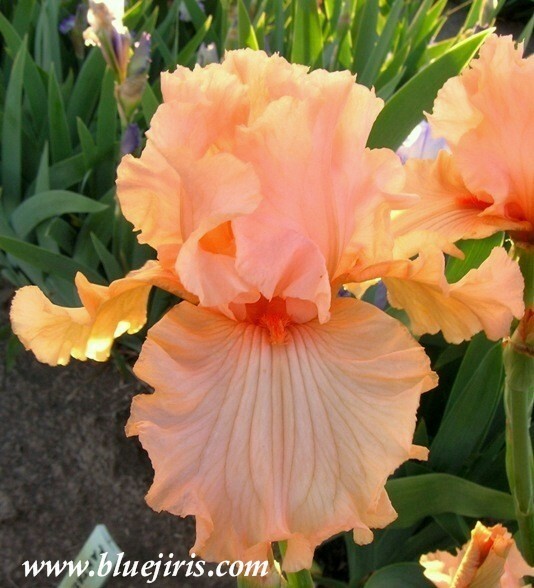 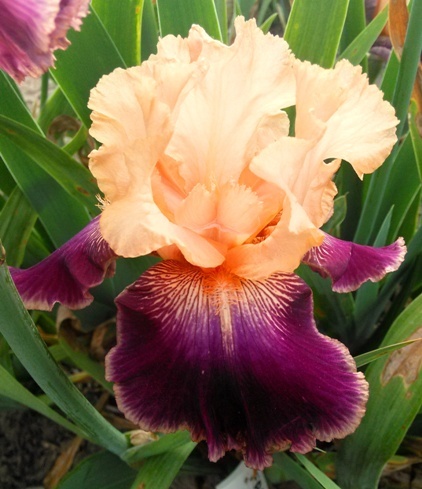 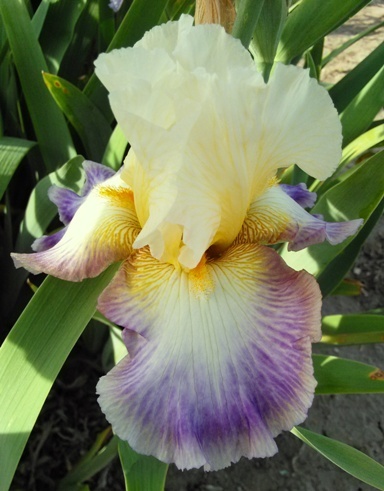 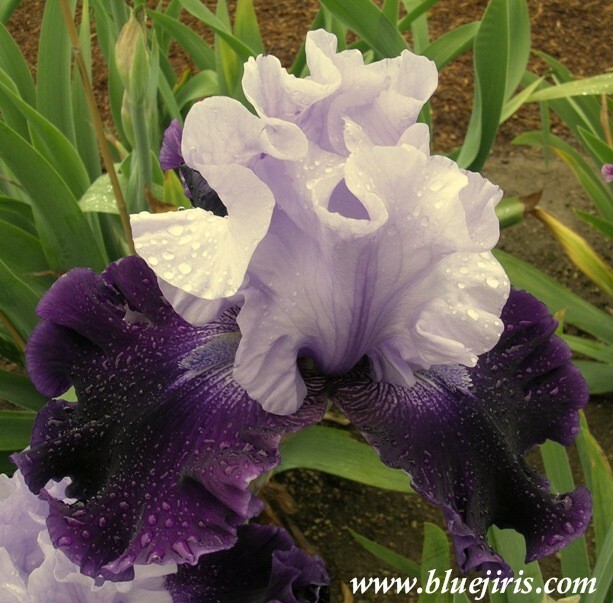 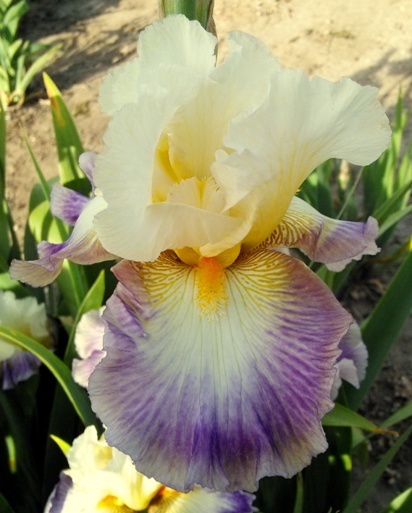 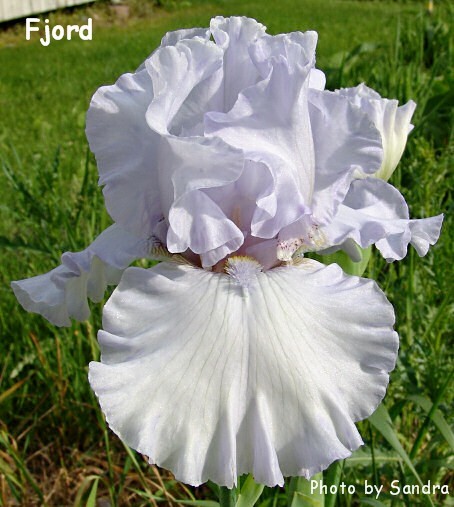 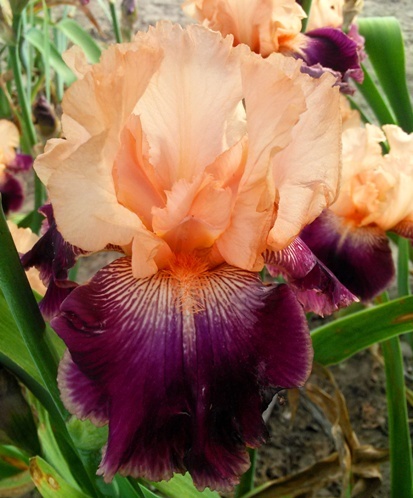 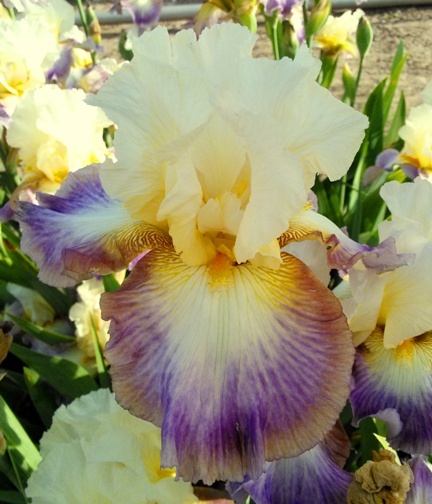 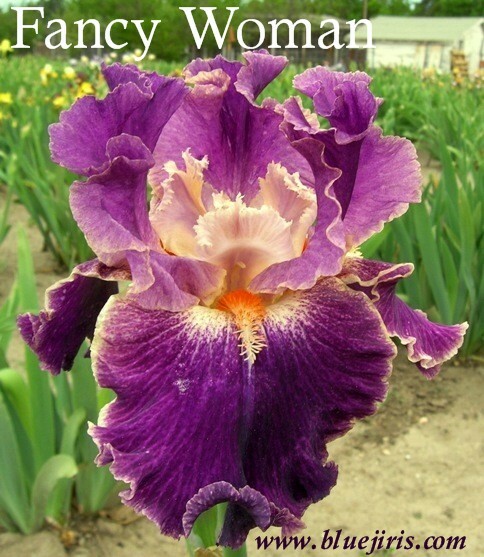 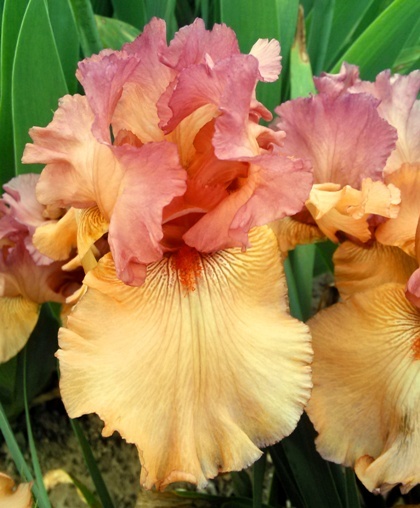 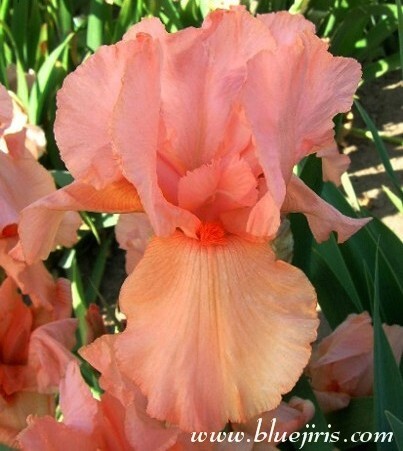 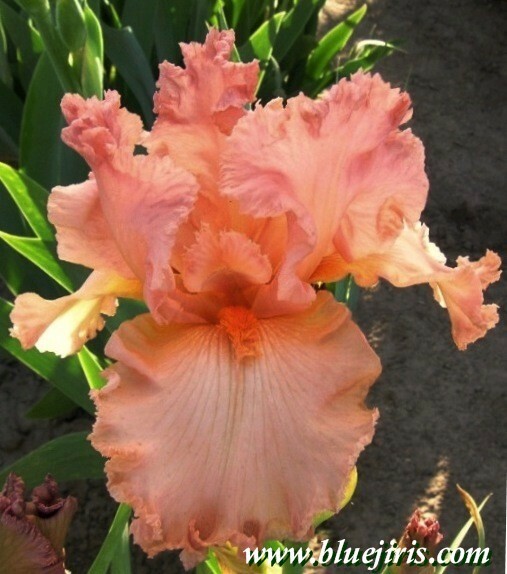 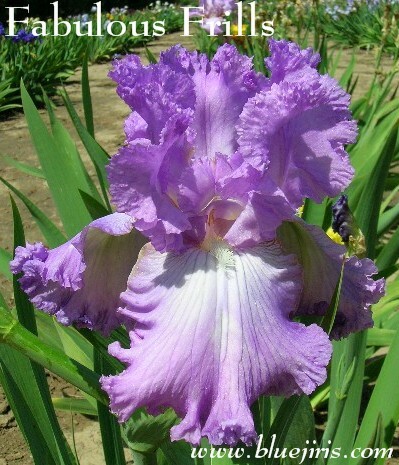 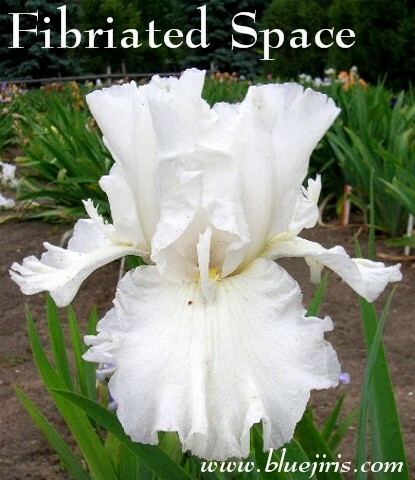 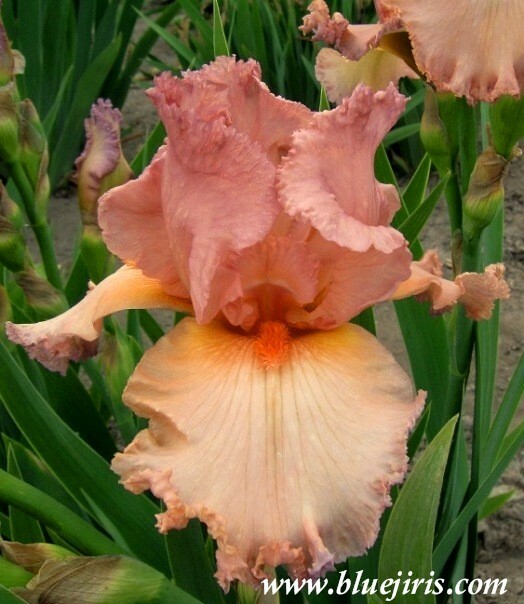 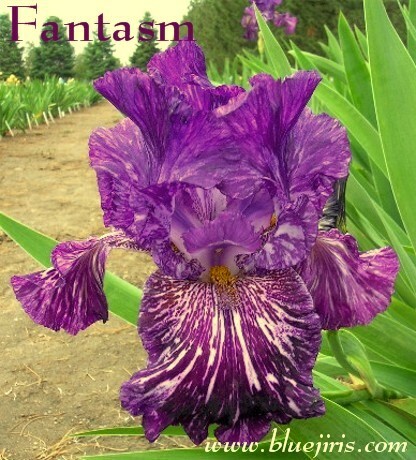 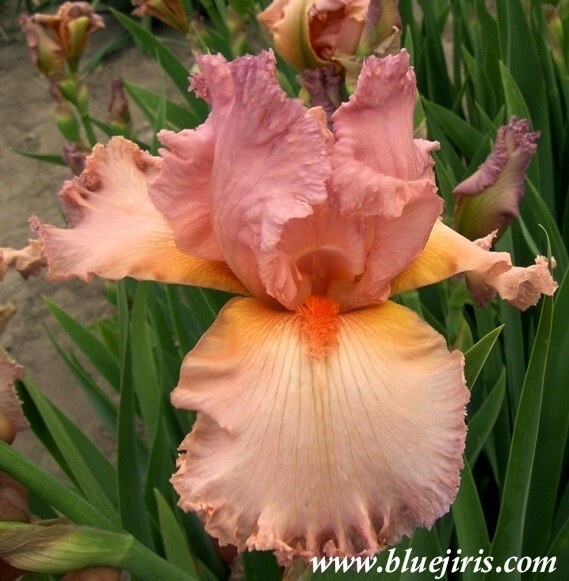 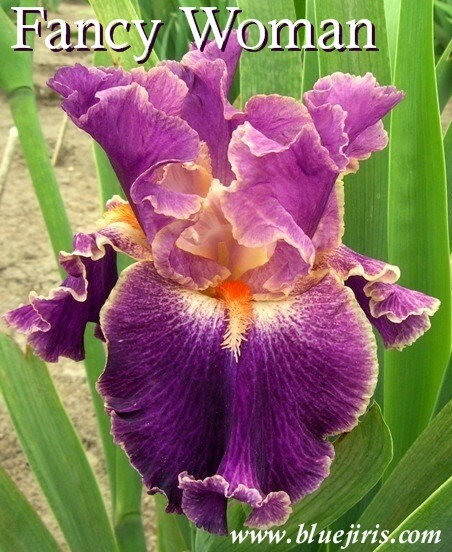 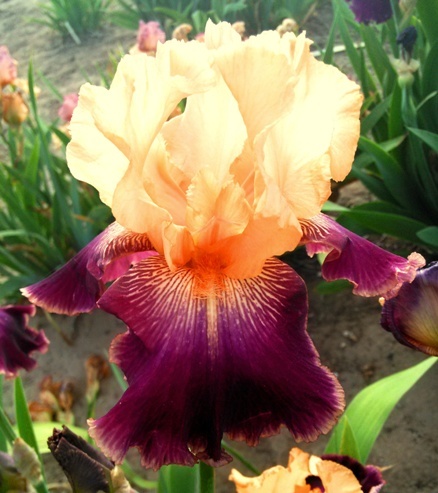 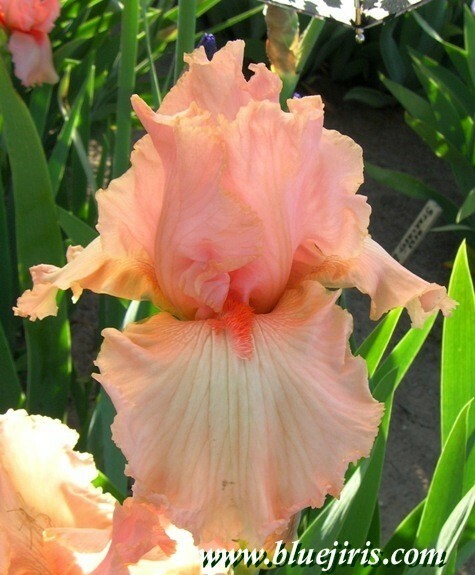 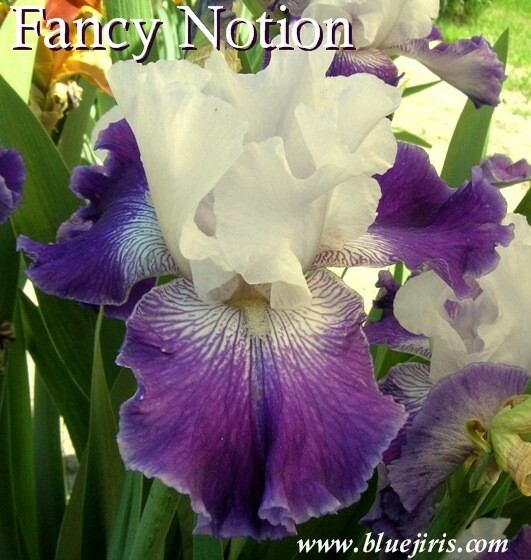 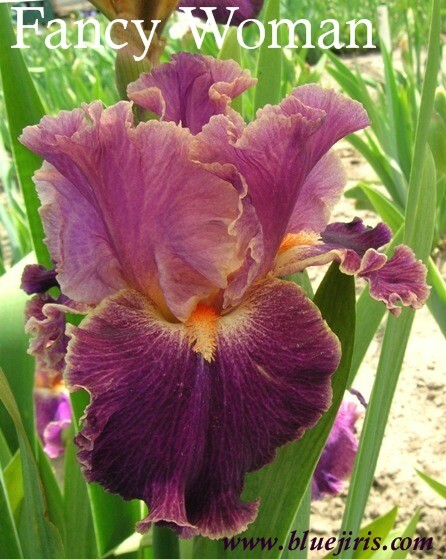 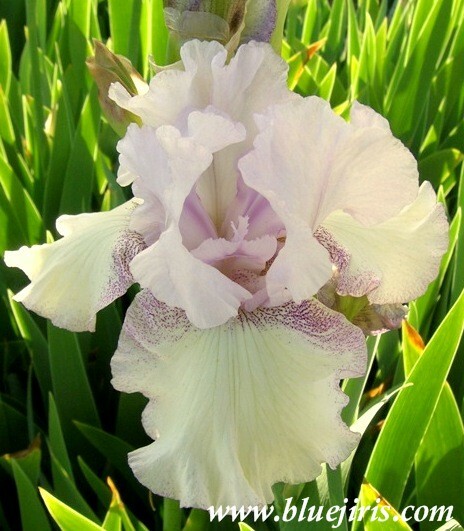 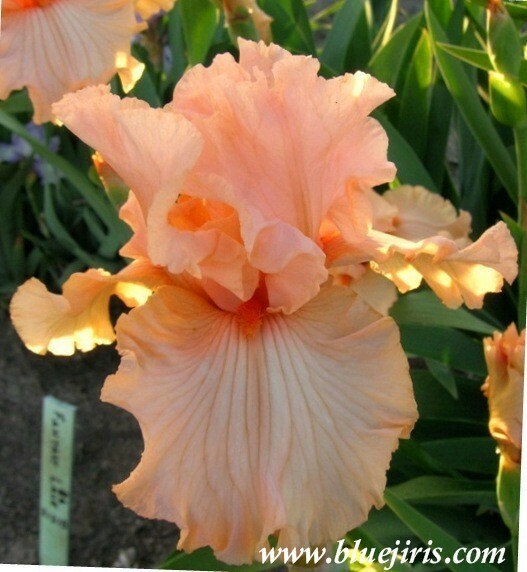 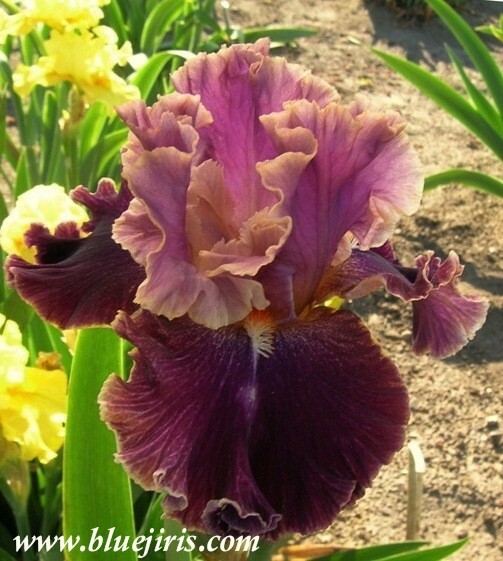 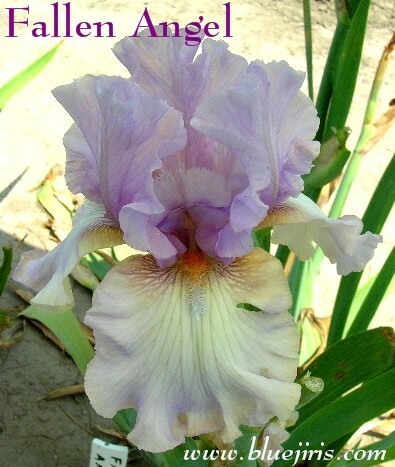 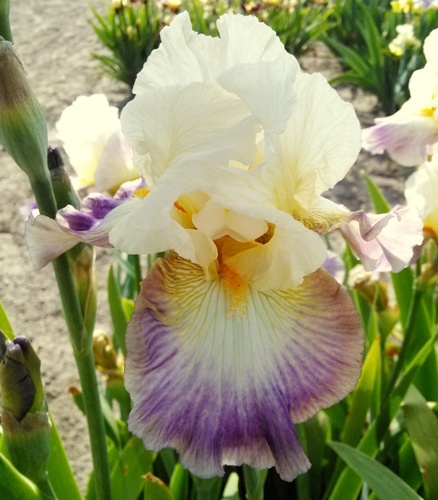 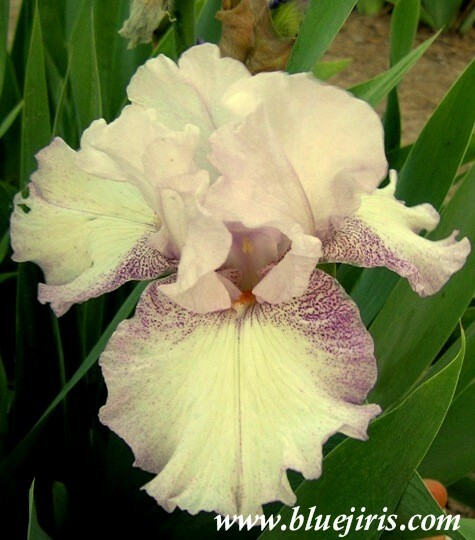 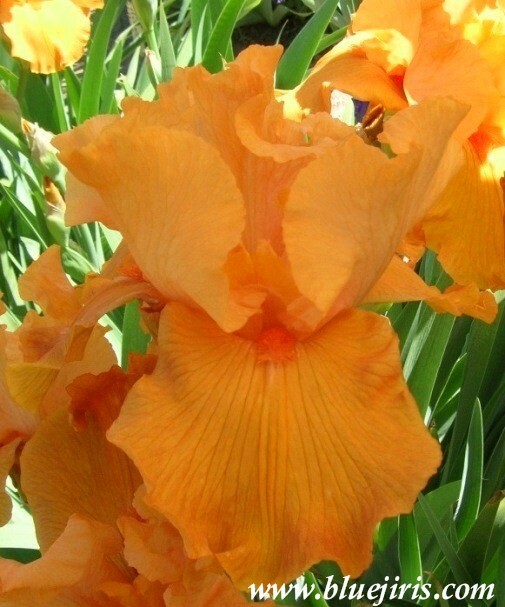 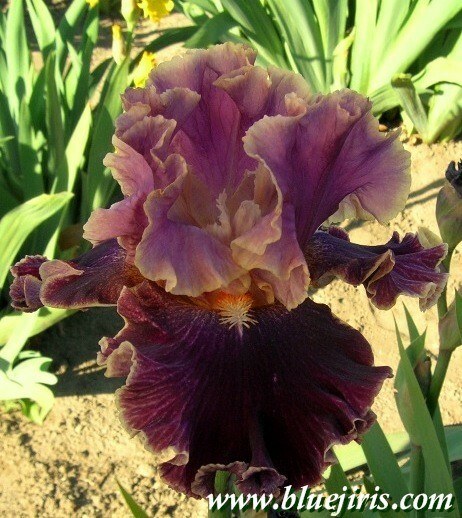 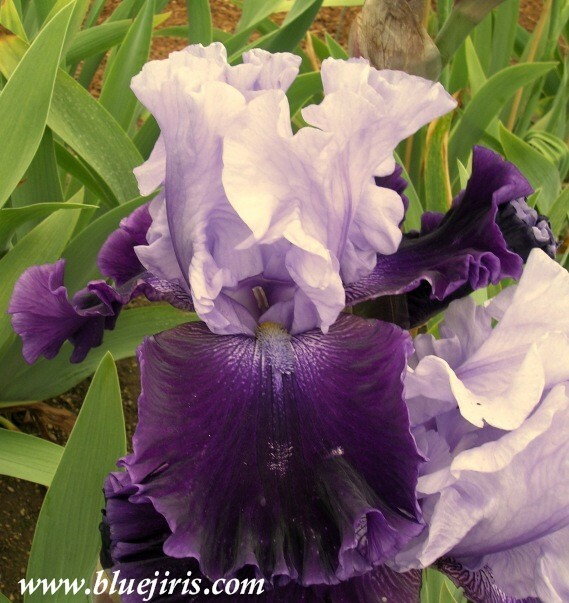 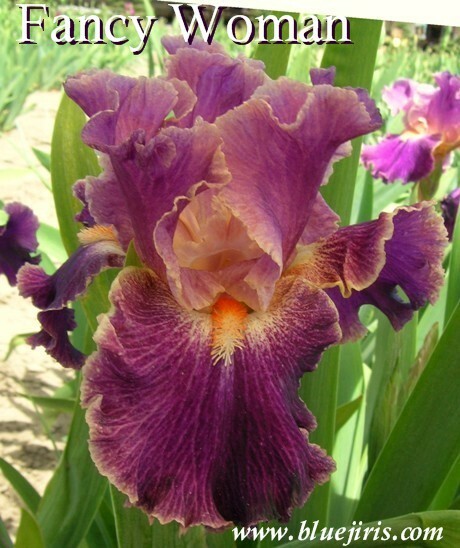 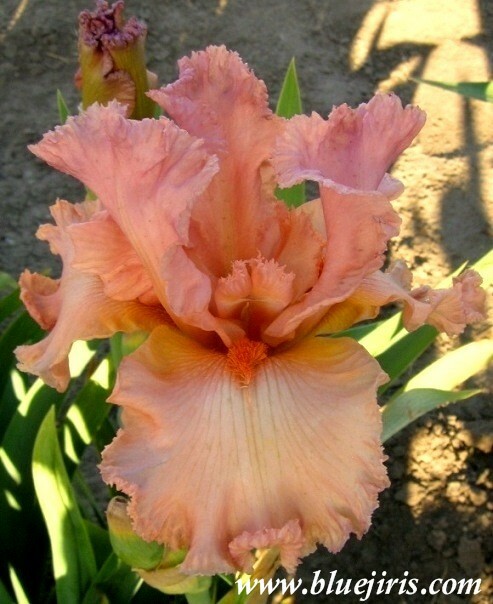 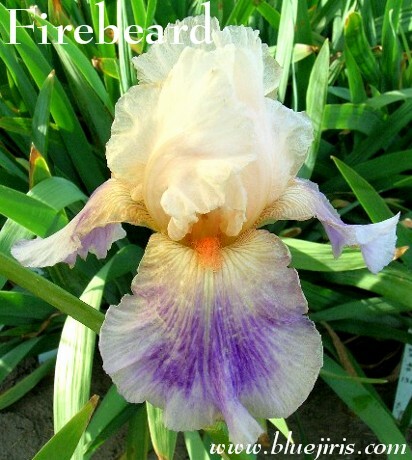 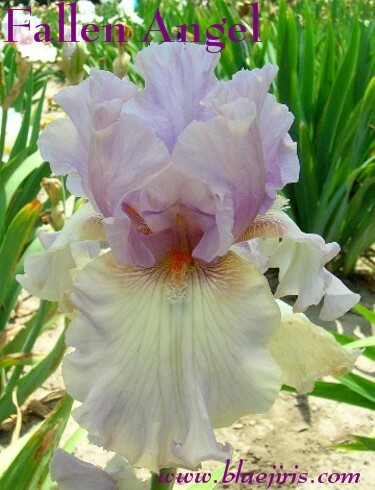 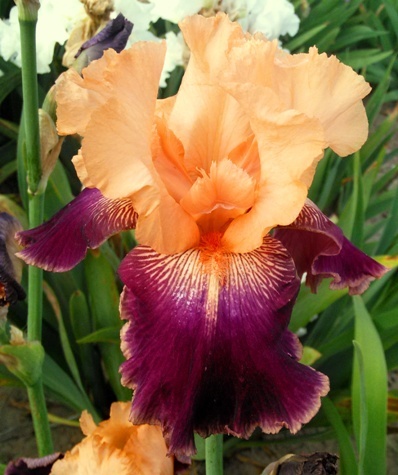 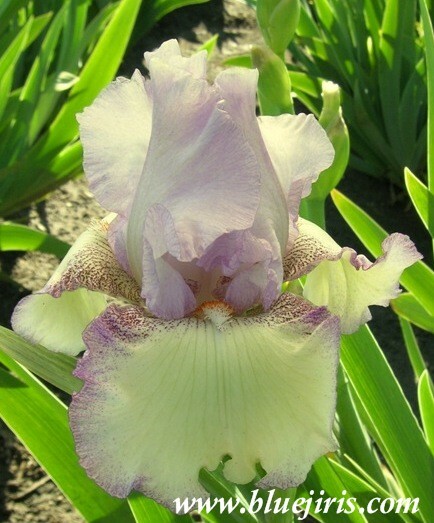 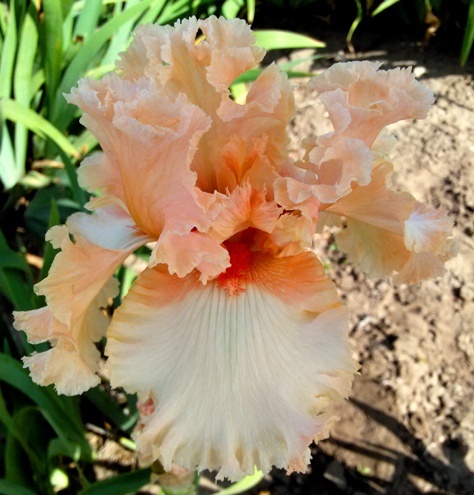 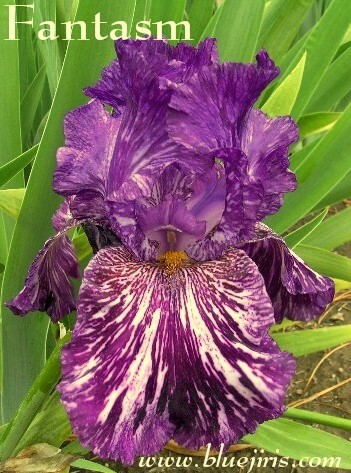 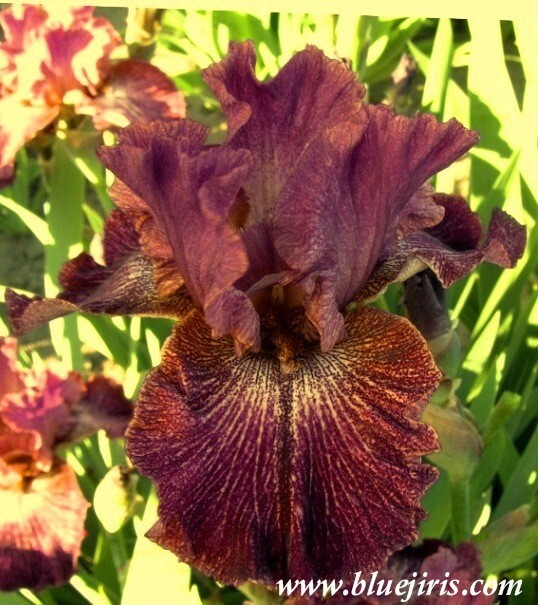 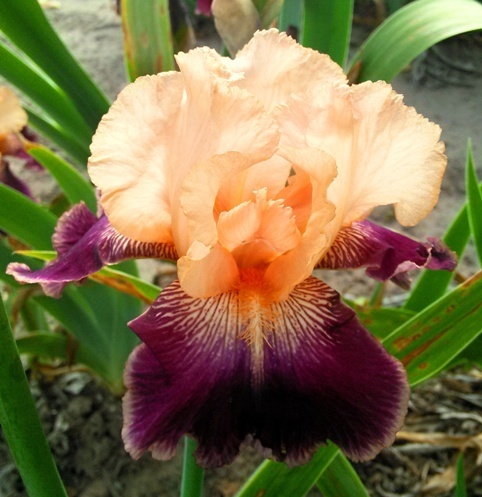 S. light purple; style arms peach, purple accents; F. peach pink, light violet edging, violet veining more visible near beard; beards tangerine; slight sweet fragrance. 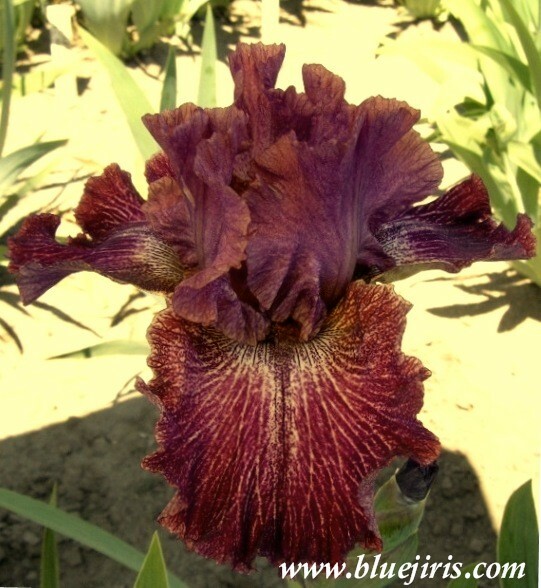 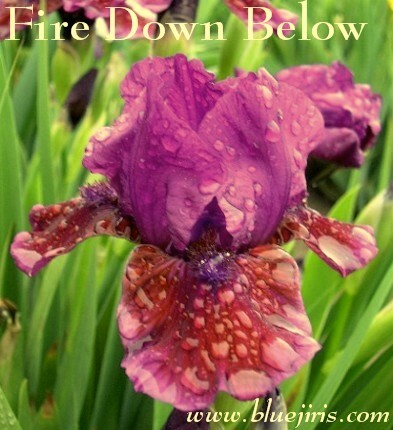 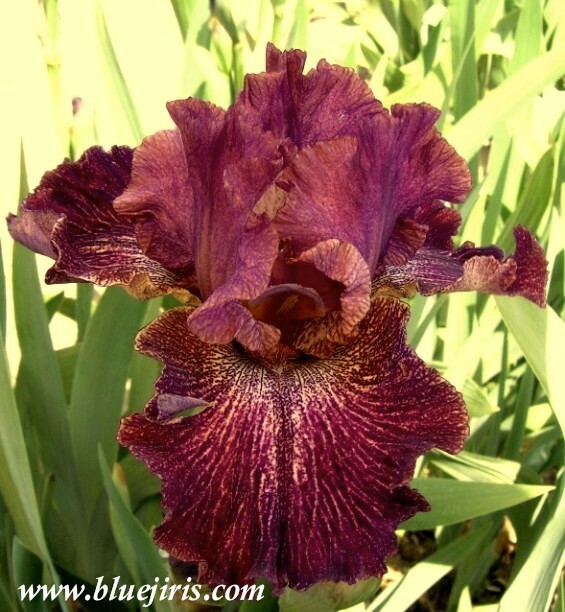 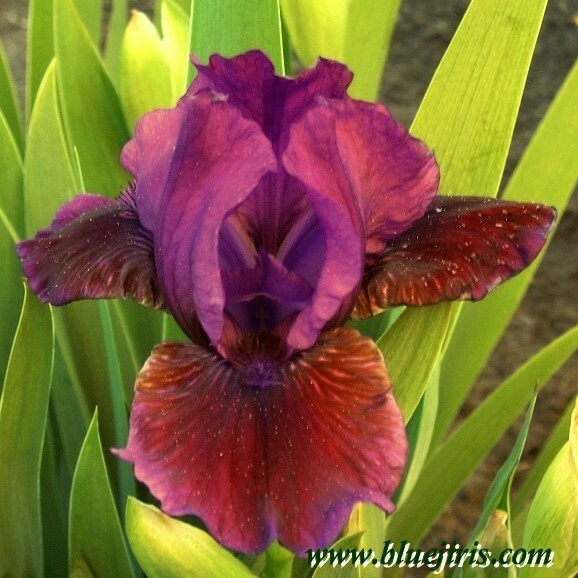 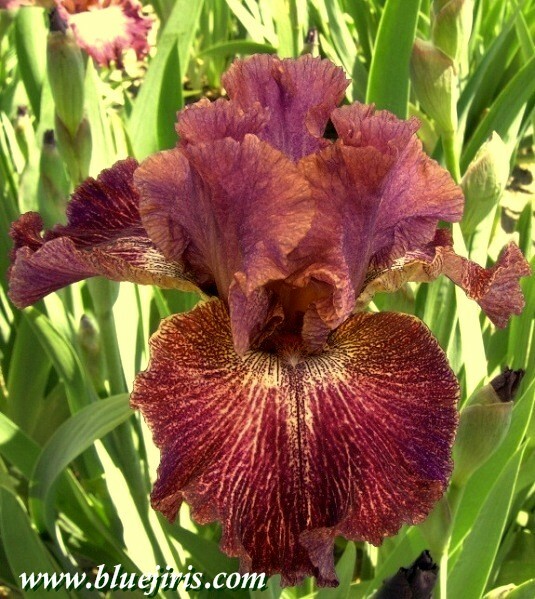 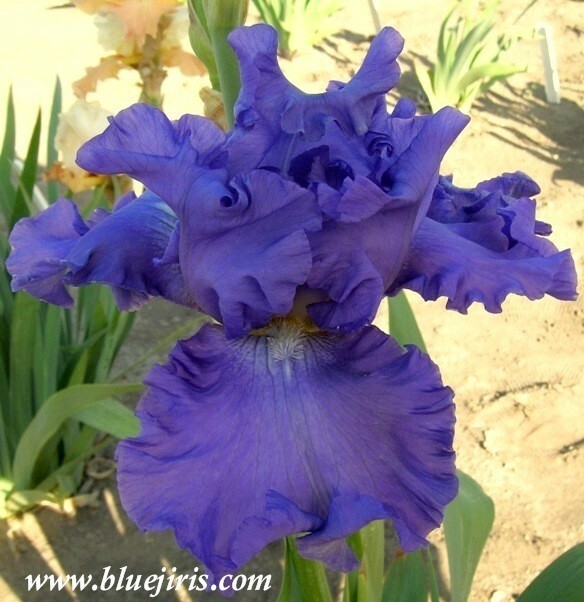 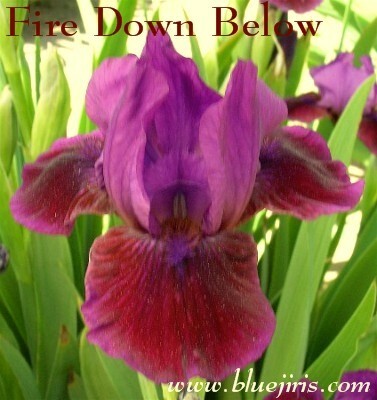 S-violet purple; SA-lighter; F-ruby red, edged lighter; B-oxblood red; lightly ruffled; pronounced sweet frag.